Successfully Added Uphone U3A IP67 Rugged Phone - Shockproof, Waterproof, Dust Proof, Micro SD Card Slot, Dual SIM, Rear Camera, FM Radio (Yellow) to your Shopping Cart. 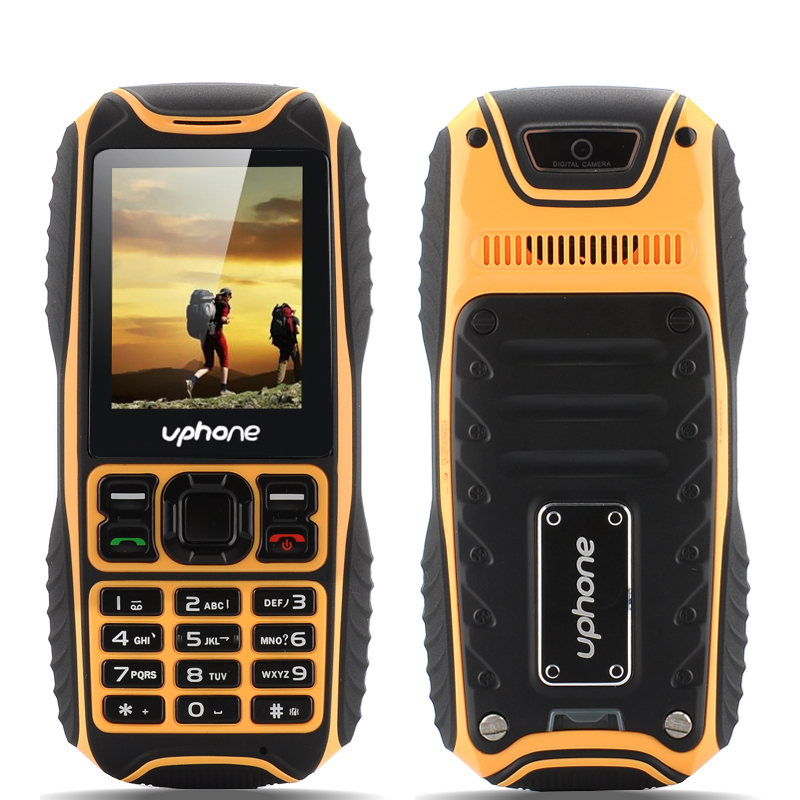 When the going gets tough you need a U3A rugged phone, this is Uphone’s latest offering for the rugged mobile phone market. 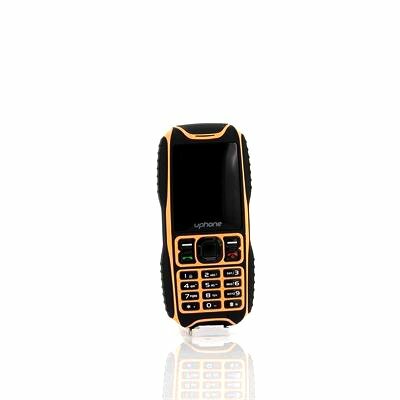 The U3A is a bar phone with a difference, it has an IP67 Rating and tough outer shell. This robust exterior was designed to fit the hand so it’s easy to grip even if when soaking wet. That IP67 rating will keep it safe from the elements and the secure rear panel as well as the plugs make sure none of the sockets can let in any water or dust so even in the most trying conditions it won’t let you down. Unlike lesser phones the U3A can withstand being knocked about and wont crumble or break because its shock proof ratings give it a high level of resistance. A 2 inch color screen and keypad allows you to easily interact with the phones menu system and makes writing or reading text messages easy. With support for two SIM cards you can leave lesser devices at home and have access to two mobile numbers through this one device meaning you’re always in contact with all your contacts wherever you are. The long battery life, micro SD card slot and a built in camera complete the package and give this phone everything you need for heading of the beaten trail.